What do you do if you want to help your local schools raise funds, but you're tired of the eternal junk food and raffle ticket fundraisers? Enter two Australian mums, Sophia Stefanos and Deborah Kourakis, with a brilliant idea where kids benefit not just from the funds, but from the actual fundraising activity. 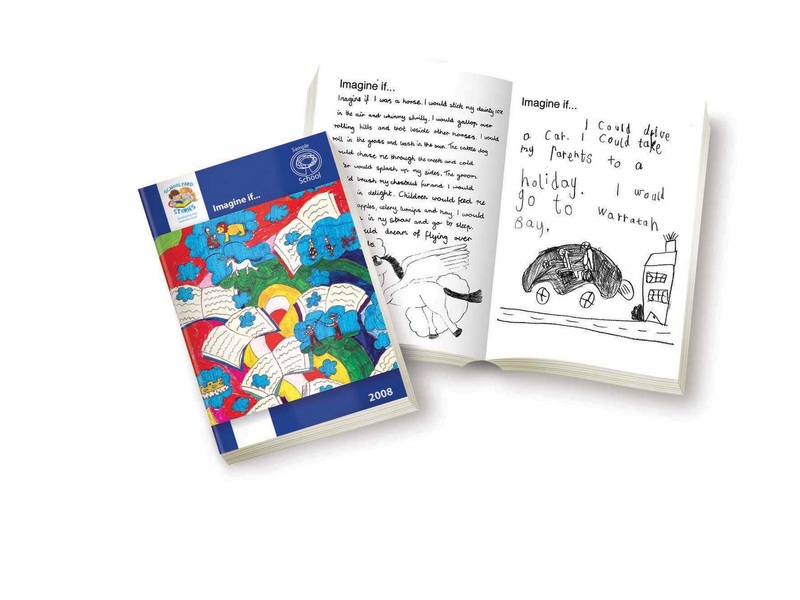 Schoolyard Stories publishes books written by children. Students of all ability levels write a story and/or draw a picture. 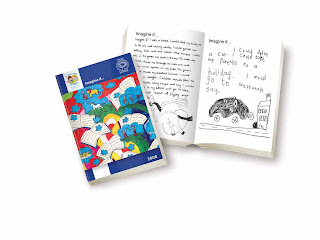 A paperback book is then printed and sold within the school community. As a literacy activity it has been endorsed by Author, Jen McVeity as “…an excellent and very worthwhile idea” that “…engages children to write and have fun doing it”. As a fundraiser it’s profitable, easy to run and families enjoy a high quality book that becomes a cherished keepsake. Actively participating in preschool and school fundraising committees for years, Sophia came up with the book idea for her own kids’ school. She began the process of sourcing printers, setting up templates, instruction documents and scanning in all the kids’ work. They decided to go with the story starter Imagine if… for every child from prep to Grade 6. Sophia says, “It was a lot of hard work, but it was all worthwhile just listening to children of all ages in the schoolyard discussing what they were going to write about for their Imagine if… story. The book was distributed during book week and the children came running out after school with their copies. As I walked through the schoolyard, I saw kids and parents huddled around their book and reading. The wonderful response I received from parents was amazing. That was four years ago and my children still get out their Imagine if… book and read their favourite stories”. After that, Sophia and her friend Deborah discussed the success of the project. It was profitable, it was different, it got their children excited about reading and writing, and they weren’t selling junk. Why not create a publishing pack that would make it easy for coordinators so all they’d have to do is compile the work, send it to Schoolyard Stories and they’d take care of the rest? The two run Schoolyard Stories from home. They pride themselves on customer service and their flexibility to allow schools to be as creative as they like. Sophia’s background as a primary school teacher gives her an excellent understanding of how difficult it is to fit everything into an already demanding curriculum. The flexibility of this project allows teachers to simply slip the task into any literacy session and for children to take their rough drafts home to revise them as part of a homework activity. Due to her circumstances growing up, Sophia was never a strong reader and loathed having to read aloud. As a result she didn’t like reading and her love of books came at a much later age. Her goal as a teacher and Mum was to make reading and writing fun to encourage a love of literature. “In class and at home we often self published little books. The entire journey from beginning to end was so rewarding. Children gained confidence from the feedback they received when sharing their books with family and friends. Schoolyard Stories really takes this up a notch because students see their work published in a REAL book and their school community is actually purchasing their work. They become published authors with an authentic audience. It really is a wonderful encouragement tool”. If you’re looking for a way to raise funds or for an exciting literacy activity, why not try publishing a book? You’ll enjoy the experience and the enthusiasm in your students as they work toward a common goal. For more information and a free quote, go to www.schoolyardstories.com.au.